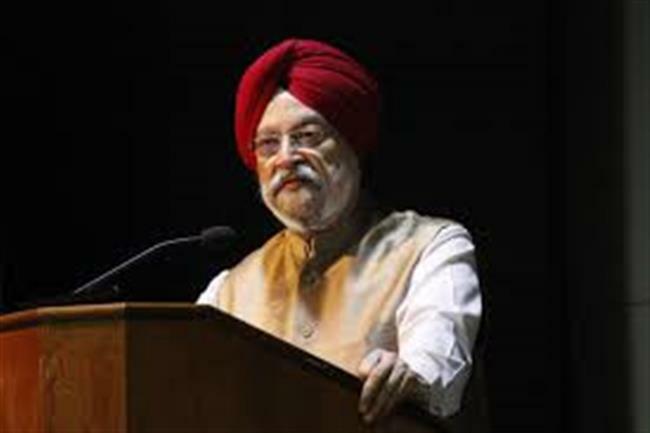 Septeber 5, 2018 - Minister of State for Housing and Urban Affairs Hardeep Singh Puri has said that the civic bodies of Delhi will achieve their physical target of constructing five lakhs community and 67 lakhs individual household toilets by the end of 2019. Speaking after inaugurating a workshop on ‘Swachh Survekshan-2019’ for the municipal bodies of Delhi today, Puri said that so far as the Open Defecation Free (ODF) target was concerned, it required the behavioural change of the public at large in rural and urban areas of the country. The workshop on “Swachh Survekshan-2019”, organized by the New Delhi Municipal Council (NDMC) in collaboration with Ministry of Housing and Urban Affairs, was attended by delegates from all the three civic bodies and Delhi Cantonment Board. The Minister appreciated that the NDMC has bagged the first position in the category of cities of 1-3 lakh population and overall fourth position in the country and hoped that it would get the overall first position in the forthcoming Swachhta Survekshan-2019. Puri said that under the Smart City initiatives, the NDMC had achieved many milestones by commissioning various projects like Wi-Fi, Smart Poles, Solar Tree and Ideation Centre at Connaught Place. Stressing upon the reduction of plastic items in day-to-day life, Member of Parliament and Bharatiya Janata Party (BJP) leader Meenakshi Lekhi said that it is the need of the hours to come forward to reduce, reuse and recycle the plastic waste so as to make the planet environment-friendly. Outlining the details of the steps undertaken by the Ministry of Housing and Urban Development, the National Mission Director of the Swachh Bharat V. K. Jindal informed that the entire nation would be Open Defecation Free by the end of 2019. He said the scientific segregation of the waste, started in 73 cities in 2016, now has increased to 4,203 cities in 2018 and all cities of the country will be covered by 2019. NDMC Chairman Naresh Kumar in his welcome address threw light on several achievements of the civic body in New Delhi area under the Swachh Bharat Mission.